Onsight climbing requires a lot of skill yet also necessitates some degree of luck. Pick a sequence, it turns out to be right, reach a better hold, have a breather, then pick another sequence for the next set of moves. With a bit of luck, it’s the right sequence again. Keep making good ‘guesses’ and there’s a good chance of making it to the top. Of course onsighting isn’t just guess work, however. Making those correct guesses requires a fine intuition of the rock, going ‘a muerte’ when you’re pumped, and staying focused, amongst other things, are also important factors towards achieving that ‘perfect onsight’. When I went on a three month sport climbing trip at the end of 2013 with Tom, I had no specific goals in mind yet somehow managed to climb five grades harder than anything I’d done previously. Despite this huge improvement, I could tell that I’d be unlikely to accelerate through grades this way if I went on another three month trip. 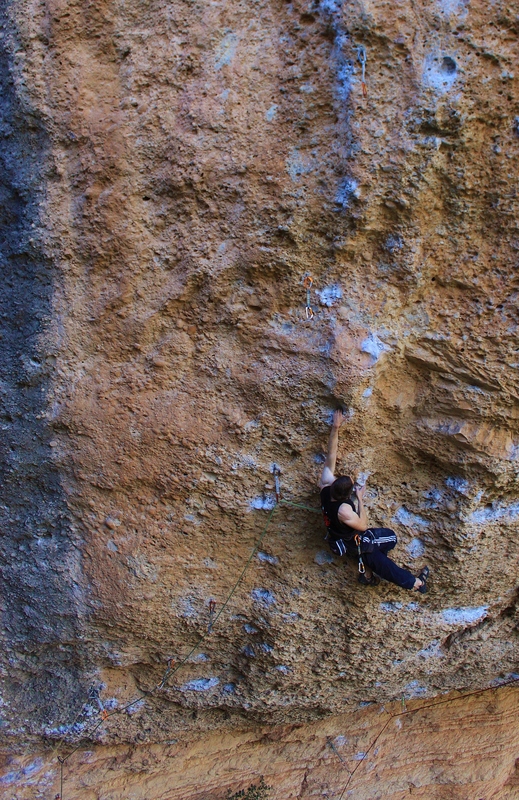 Thus I made goals for 2014 to give me something to work towards and to give my climbing some sort of focus and direction. One of these goals was to onsight a 7c. I am very happy to have recently achieved this goal by onsighting La Corva de la Felicitat at Raco de les Tenebres in Margalef. Despite it being slightly too cold for my liking and carrying a set of heavy project draws; I climbed efficiently, guessed all the correct sequences and (pretty pumped) soon found myself clipping the chains. I didn’t choose these clothes to be my onsighting clothes; they chose me…like the wand chooses the wizard? 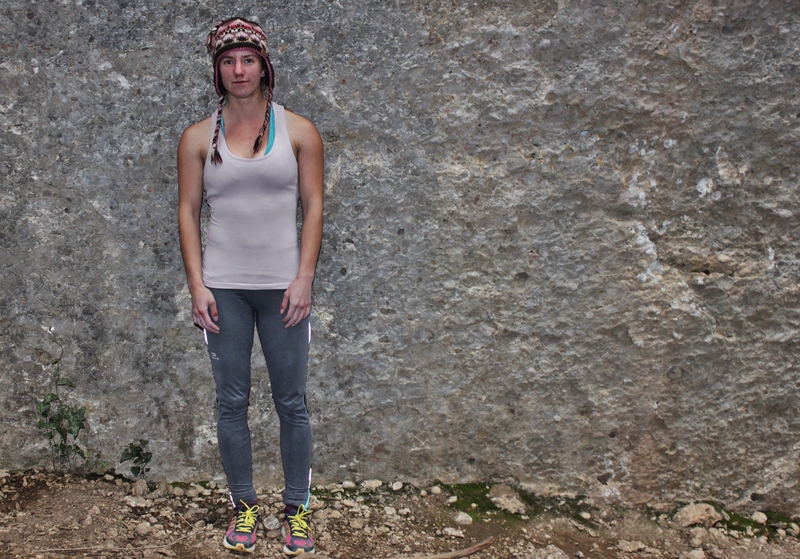 I later realised that I was wearing the exact same leggings and top that I wore on my first 7b+ onsight (Pince Sans Rire, Rodellar). This cannot be coincidence I thought, these clothes MUST be lucky. How wonderful to have discovered my lucky onsighting outfit! Liam then pointed out that I only have two pairs of climbing leggings and about five tops so maybe it’s not luck, maybe I just don’t have many clothes to wear. (I refuse to believe this).